Ocasio-Cortez introduced the socialist Green New Deal resolution in the House of Representatives on Feb. 7; an accompanying resolution was introduced to the Senate the same day. In March, Senate Majority Leader Mitch McConnell (R-Ky.) scheduled a vote on the resolution. “The GOP’s whole game of wasting votes in Congress to target others ‘on the record,’ for [legislation] they have no intent to pass, is a disgrace,” Ocasio-Cortez wrote on Twitter. Republicans are eager to put Democrats on record as voting for the Green New Deal. The resolution urges Congress to hand the government a monopoly over the U.S.’s energy industry in order to move the nation entirely away from fossil fuels. The Green New Deal calls for a Soviet Union-style 10-year mobilization, which would take all gas-engine cars off the road and upgrade or replace every home and commercial building in the United States. All of the Democratic senators running for president have co-sponsored the Green New Deal resolution in the Senate, including Sens. Bernie Sanders (I-Vt.), Kamala Harris (D-Calif.), Elizabeth Warren (D-Mass. ), Cory Booker (D-N.J.), Kirsten Gillibrand (D-N.Y.), Amy Klobuchar (D-Minn.). Beyond the Senate, all but two Democrats running for president have embraced the Green New Deal, including former Texas Rep. Beto O’Rourke; South Bend, Indiana, Mayor Pete Buttigieg; former Housing and Urban Development Secretary Julián Castro; and entrepreneur Andrew Yang. The Democratic Socialists of America, the largest socialist group of the United States, and Communist Party USA are both supporting the Green New Deal. Republicans view the Green New Deal as a sign of a far-left shift within the Democratic Party and see a vote on the resolution as an opportunity to put all Democrats on the record about the resolution. President Donald Trump threw down the gauntlet to socialists in the United States during the State of the Union Speech, telling the nation, “America will never be a socialist country.” The president also lambasted the Green New Deal shortly after the resolution was rolled out. 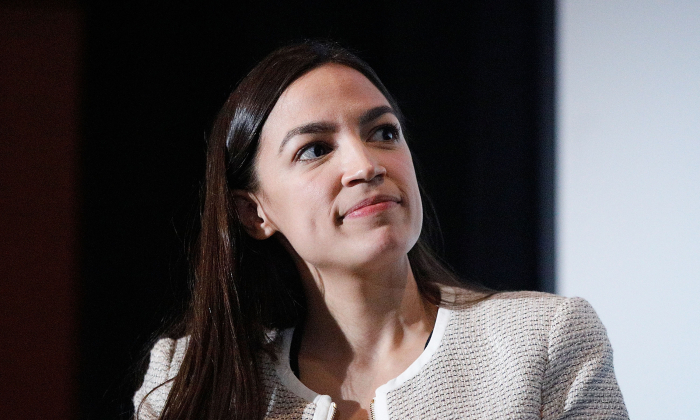 While backing the Green New Deal, most Democratic candidates for the White House have distanced themselves from the socialist label. Only Sanders remains committed to the label. O’Rourke did not disavow socialism under repeated questioning.